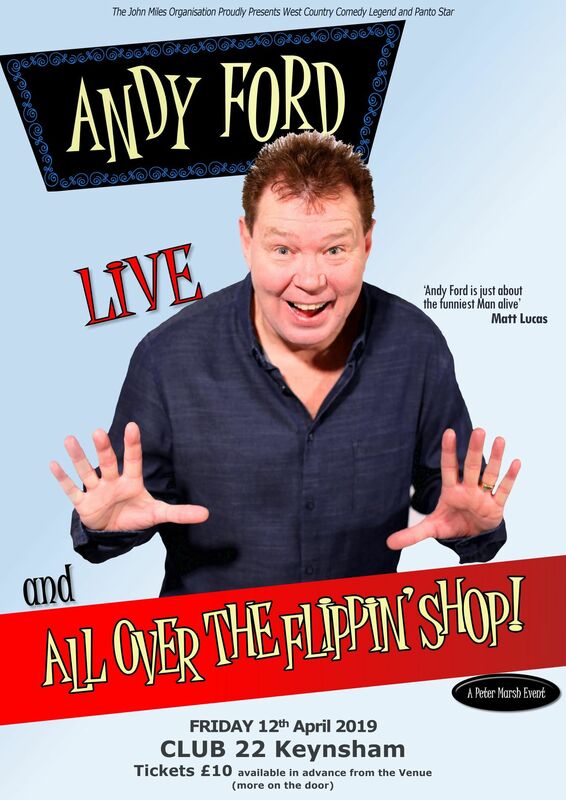 Andy Ford Live at Club 22 - All Over The Flippin' Shop! After spending most of each year travelling the globe entertaining people(for the last 15 years), West Country comedy performer and undisputed star of the Bristol Hippodrome pantomime Andy Ford is going back to his roots by taking his live stand up show to the smaller West Country venues such as Social Clubs, Hotels and Theatres. Andy says, ’It’s been great travelling and making people laugh around the world, but it feels right to take the show back to where it all began for me....the West of England! Those wonderful clubs and theatres were my old stomping ground and the places I learnt my craft, I can’t wait to go back’. 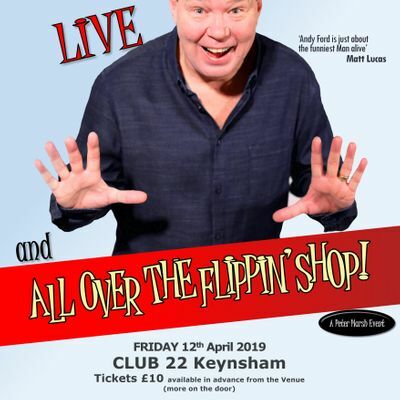 Andy Ford Live at Club 22 - All Over The Flippin Shop!